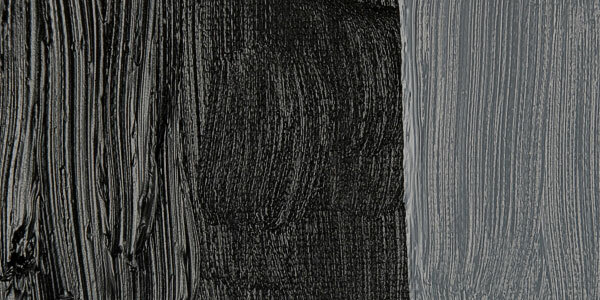 Black is a semi-transparent, slightly textured blue-black pigment with excellent hiding power. It has a finer grain than other black pigments, so it spreads better in watercolor. However, it is inferior in intensity, tinting strength, and chemical purity to the major black pigments. Vine Black has superior permanence and lightfastness because carbon absorbs light well. Vine Black has no significant hazards. Vine Black is a carbon based black traditionally produced by charring desiccated grape vines, stems, and wood from willow trees. These processes have been used since antiquity, though a superior artificial variety was developed in the United States in 1864 to make a black appropriate for watercolors. Blue Black, Charcoal Black, Coke Black, Cork Black, Drop Black, Frankfort Black, German Black, Grape Black, Kernel Black, Marc Black, Mineral Black, Peach Black, Spanish Black, Vegetable Black, Yeast Black. 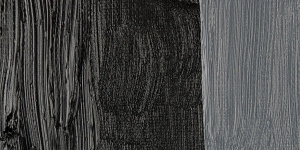 Blue Black has also been used to describe Ivory Black.